To ensure optimum industrial laundering of MASCOT's products we recommend industrial launderies use the following washing processes for the respective categories of products. The categories can be viewed on every product in the pricelist. To obtain the best result, we recommend a test of the washing and drying processes for all products but particularly for products in categories B and C.
Description Industrial washing process for workwear. Pro Label Yes - if handled according to these care instructions. Wash process Wash according to ISO 15797 - 8A or 8B covering industrial wash. Wash together with like colours. Wash chemistry Normal industrial wash program. Avoid use of bleaching agents on coloured textiles. Avoid use of softeners. Disinfection Clarify between local legislation and chemical supplier. Drying process Tumble dry (ISO 15797 8A): Max outlet / exhaust temp 90ºC, use cool down. And / or Tunnel dry: (ISO 15797 8B) Max incoming air temp 155/160ºC. Cycle time: balanced to meet residual moisture content of +3%. Zippers Close any zippers before washing. Description Industrial washing process for safety workwear and two-tone workwear. Wash process Wash according to ISO 15797 - 8A or 8B covering industrial wash. Wash separately. Wash chemistry Refer to info on reflective garments below. Reflective garments pH: Max pH 10, max alkalinity 650 mg/l. Do not use: Alkali boosters, optical brighteners, bleaching agents, detergents that contain free sodium or potassium hydroxide, solvenated surfectants. Avoid use of softeners. Max 20 min. in main wash bath. Wash process Wash according to ISO 6330. Wash together with like colours/textiles. Wash temperature Machine wash max 60ºC. Wash chemistry Comply to chemical suppliers recommendations for specific textile categories. Avoid use of bleaching agents on coloured textiles. Avoid use of softeners. Drying process Tumble dry: Max outlet / exhaust temp 80ºC, use cool down. Drying process Tumble dry: Max outlet / exhaust temp 60ºC, use cool down. Wash temperature Machine wash max 40ºC. Wash temperature Wash gently < 40ºC. Extend your safety footwear’s life span. 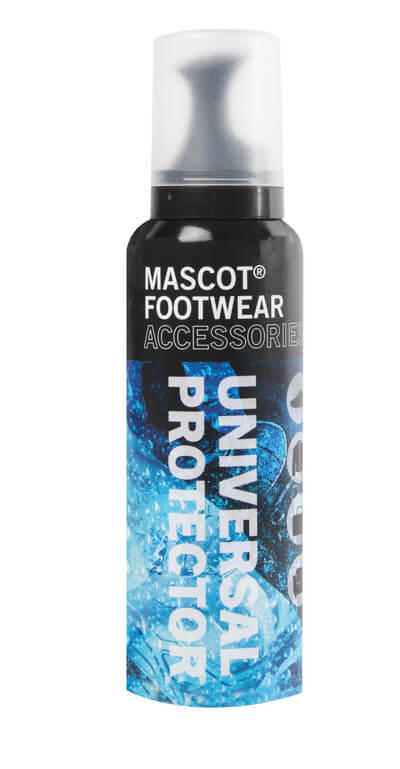 Use care products and impregnation spray before you use the footwear for the first time to protect against moisture and dirt.